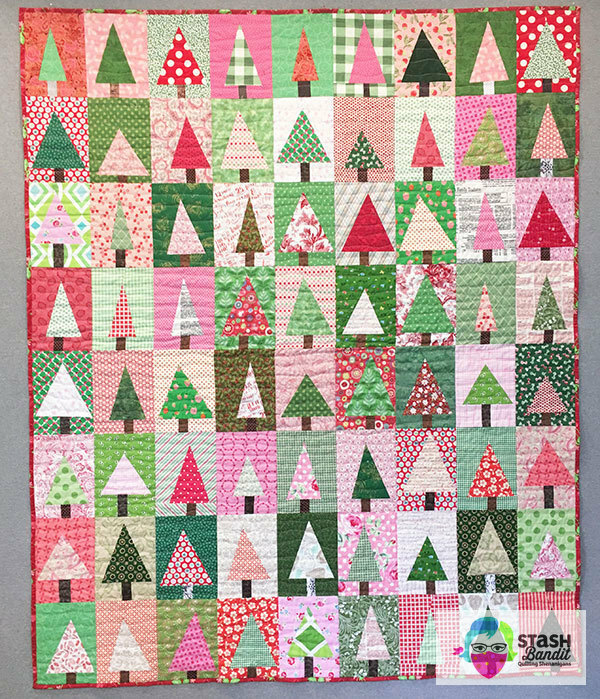 See my latest Christmas quilt design! 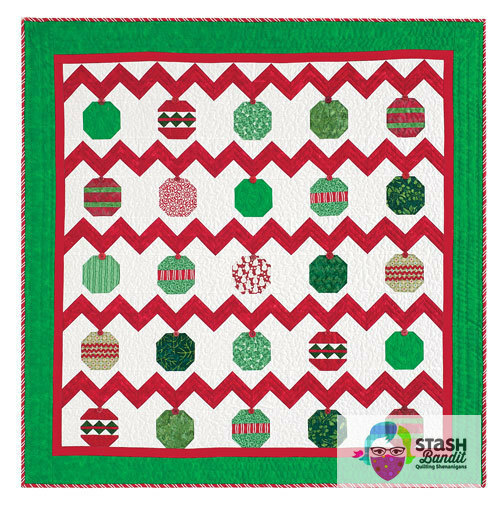 It’s now part of the Jingle Bells Trunk Show. This energetic program is full of surprises from the start. 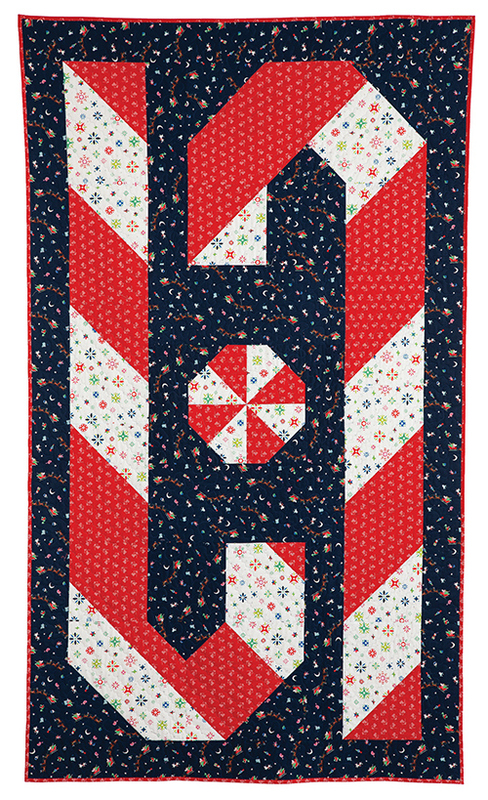 It’s appropriate any time of year, as it gets people excited to make holiday quilts in time for gift giving. 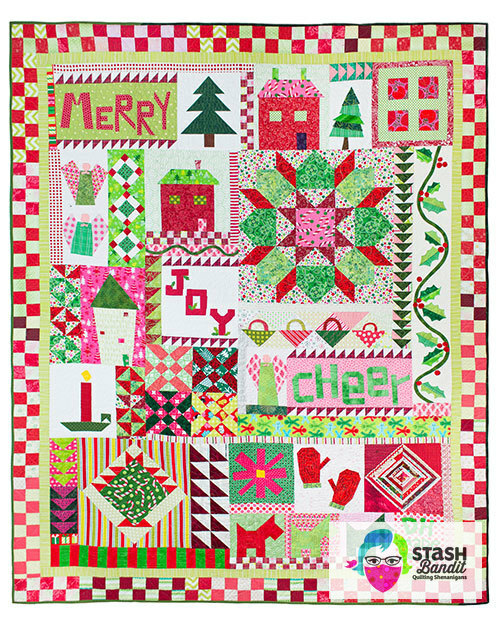 MerryJoy&Cheer by Diane Harris. Photo by Kristin Laing Photography. 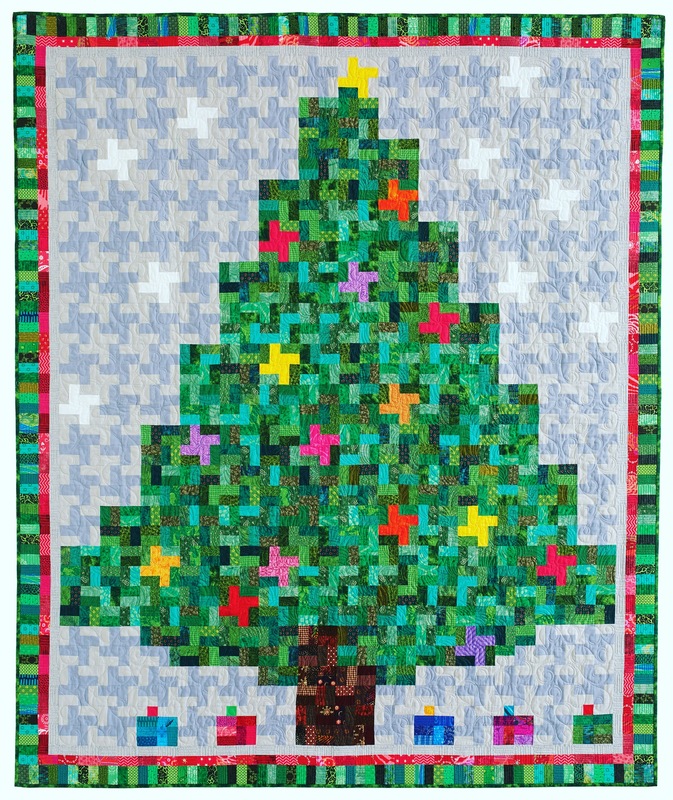 The Jingle Bells trunk show includes quilts in many sizes and techniques in a variety of Christmas colors you might never have imagined. Tiny Baubles by Diane Harris. Photo by Mellisa Karlin Mahoney. Used with permission. Some are calm and traditional. Some are wild and improvisational. 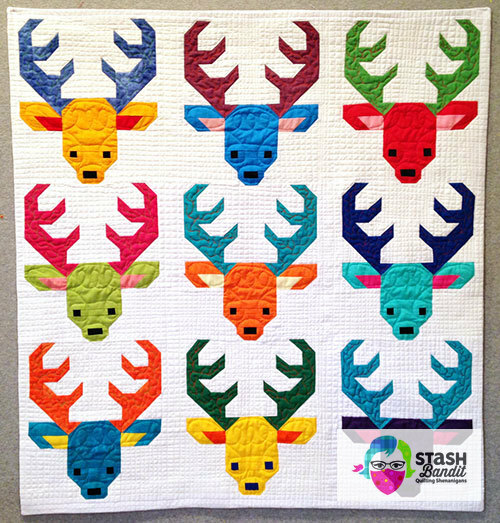 Diane’s reindeer quilt, from a block design by Lorna McMahon of Sew Fresh Quilts. 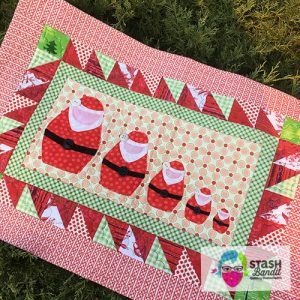 Get ready to have some fun as you’re challenged to get your jingle on! Let’s make a date for the Jingle Bells trunk show. 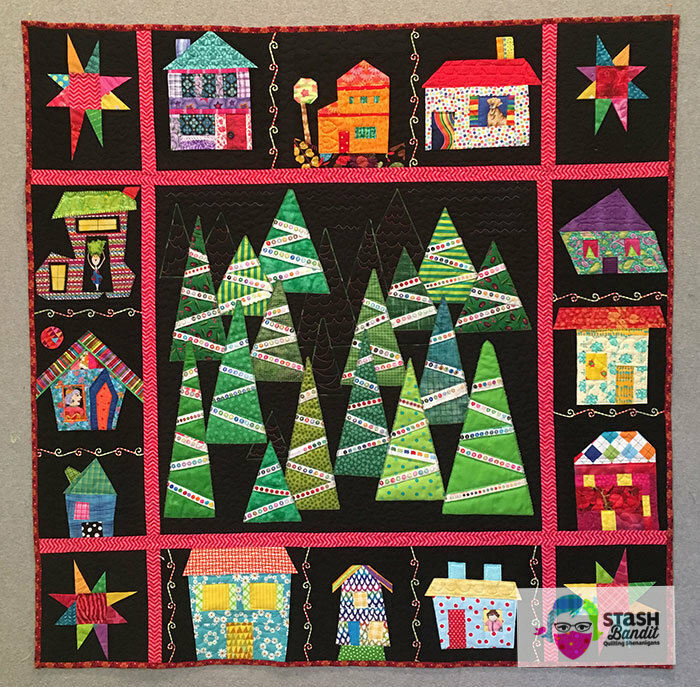 Hot Mess Christmas, designed, made and quilted by Diane Harris with house blocks from an exchange. 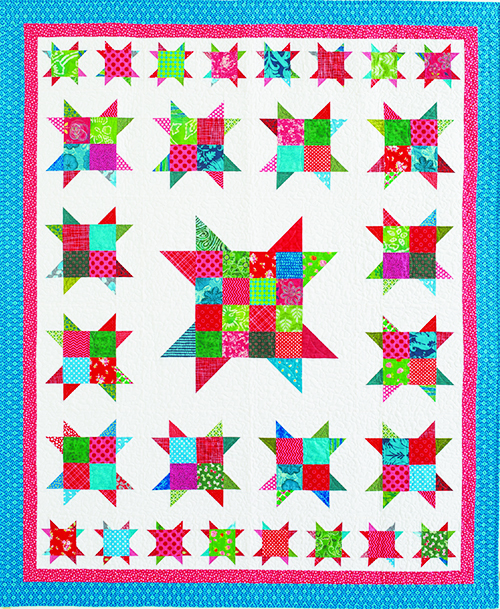 Nesting Nicks by Diane Harris appeared in Quiltmaker’s Small Quilts & Gifts 2011.